THANKSGIVING DAY is not a recognized holiday in Costa Rica. However, we all can pause and be thankful for all of the wonderful blessings we experience each day. To all of my U.S. “Friends” and others, I wish everyone well and please know that I am forever thankful for the support and encouragement embodied in this “Friends of Copey” journey. Let’s face it..! We are clearly on a roll with ongoing and continuous good news. Last week, you were informed that we had begun the process of setting up the “pathway” for one or two young high school students in Copey to travel to Emory & Henry College next summer. We are currently working on the second of three key elements needed to make this a major success. This element involves the selection process. 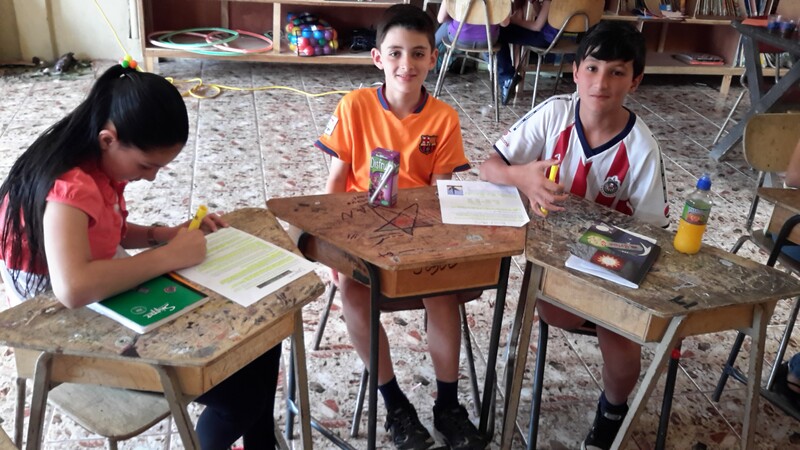 The Learning Center is responsible for identifying the two students who will represent the Learning Center, the community of Copey, and their country. We hope to have all of this completely in place early next year. For the full story on this project, check out last week’s Post. “YES”… I promised you news on a second initiative involving Emory & Henry College. 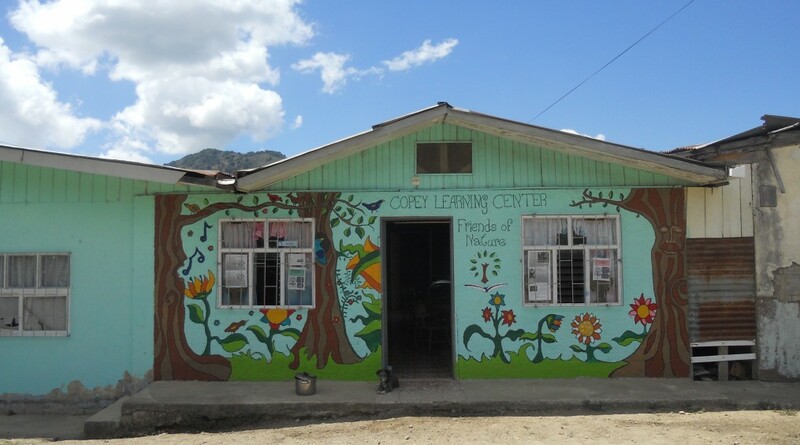 In partnership with the college, we are developing a second “pathway” for sending a couple E&H college students to Copey in the late Spring of 2016 to work as volunteers in the Learning Center. The college faculty, college students, the Learning Center, and of course “Friends” are all strongly interested and are now developing the criteria/requirements students must meet to be eligible for this volunteer assignment. WHY are both initiatives important? We want to open doors and produce opportunities for Copey students in greater numbers to consider higher education in their future. We want these students to return home to Copey as new ambassadors for higher education and student role models and student community leaders promoting the value and importance of secondary and higher education. These students will also have the benefit of spending time on a college campus and will have the forum to educate and inform others about student life and education in Costa Rica. The E&H college students will benefit by satisfying a volunteer service requirement as a Bonner Scholar student. 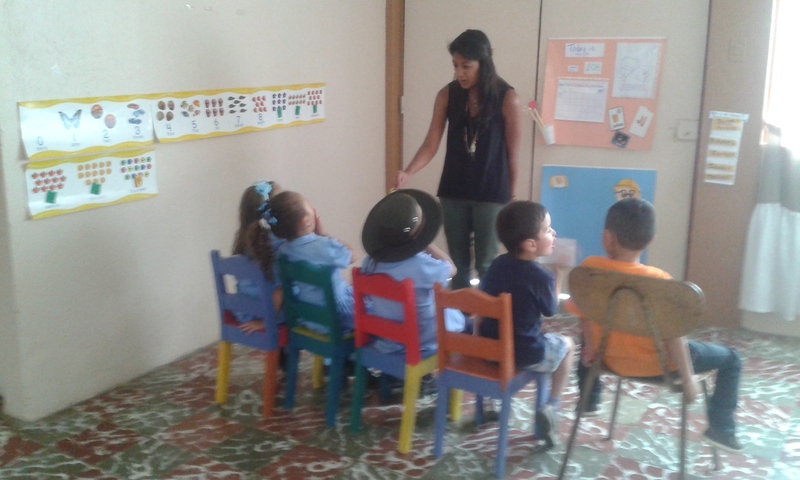 These students will spend about 6 weeks in the Copey community living with host families, learning about the language and culture, assisting the Learning Center, and gathering information about the education system within a rural community setting. Both sets of students will experience much more than this and this will also serve to set up future opportunities for both local high school students and college students. We are still in the infancy stages of development for both pathways but there is a commitment of time, energy, and resources to get this put together. PEN PAL students from the Learning Center are featured in a short presentation singing a song learned from a CD provided by Lisa Baldwin, our traveling music teacher in Virginia. The Learning Center students demonstrate their English-speaking/singing skills and also demonstrate how one teacher by sharing can provide an important teaching tool. Click on the link and sing along with the students. https://youtu.be/VKim1IP4YXk. Last week, I shared the Pen Pal letter sent from Lisa’s music class in the Sugar Grove, Virginia elementary school to the Learning Center. This week, I am providing you the Learning Center students’ response. Please read and observe how the students inform and educate their new Pen Pals about their home, school, and community. This is one of the key drivers behind Pen Pal letters. 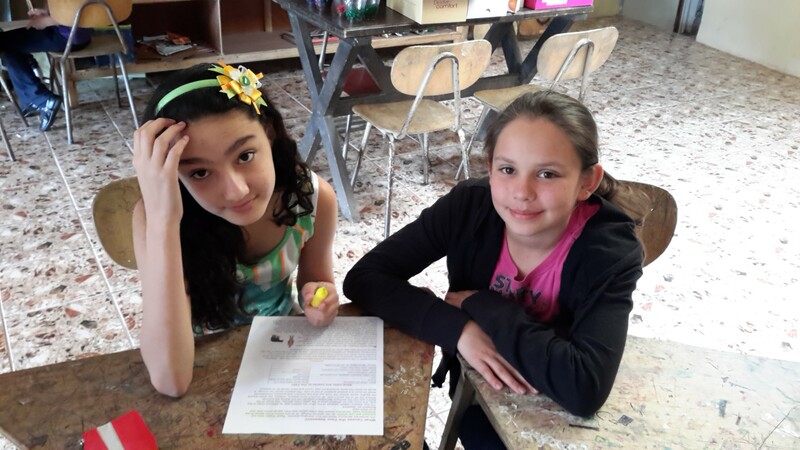 New relationships are being formed and students learn from each other. We can foresee topics pertaining to geography, life styles, similarities and differences in communities among many other topics being exchanged among the students. As “Friends” we can also learn too by keeping close watch on the kinds of information being passed back and forth. 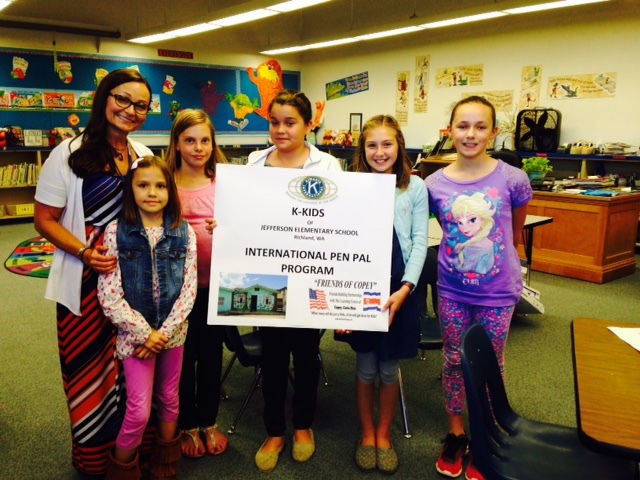 One other key feature of the Pen Pal program is the involvement of teachers on each end. Teachers can easily see the educational benefits Pen Pals offer students. I invite you as “Friends” to look closely at what we are doing with Pen Pals and K-Kids building bridges of learning and communication. Look around and if you find a teacher, a school class or Sunday school group, the scouts or some other organization involving young students, let them know about this or put me into contact. We are doing something very unique and there are no limitations on how much students can learn using this process. Learning Center Closure for the Costa Rican summer is now in effect. I expect to receive graduation photos soon and will send them out with the next Post. I will also provide a summary of what “Friends” and the Learning Center accomplished this year and what we are planning for in 2016. I am making a “Special Request” for you to send a short note directed to the Learning Center and students congratulating them on having a successful year. We did this last year and Posted several of them (see December 28, 2014 Post). It was a big hit and very much appreciated by students and staff. Pre-Announcement! We have on the horizon our annual funding campaign for the Anne G. Broady Scholarship Fund and the financial assistance in 2016 for the Executive Director’s position. An official Post will be issued in mid-December announcing our financial goals, the start-up of our funding campaign, and guidance provided on how to donate if you have plans to. demonstrated their respect and admiration for his achievements and clean driving reputation. I became a Gordon fan about two years after his rookie year and have been a loyal fan throughout the years. I have attended 4 NASCAR races and once stood in his Pit and spoke to a crew member…but never met Gordon. 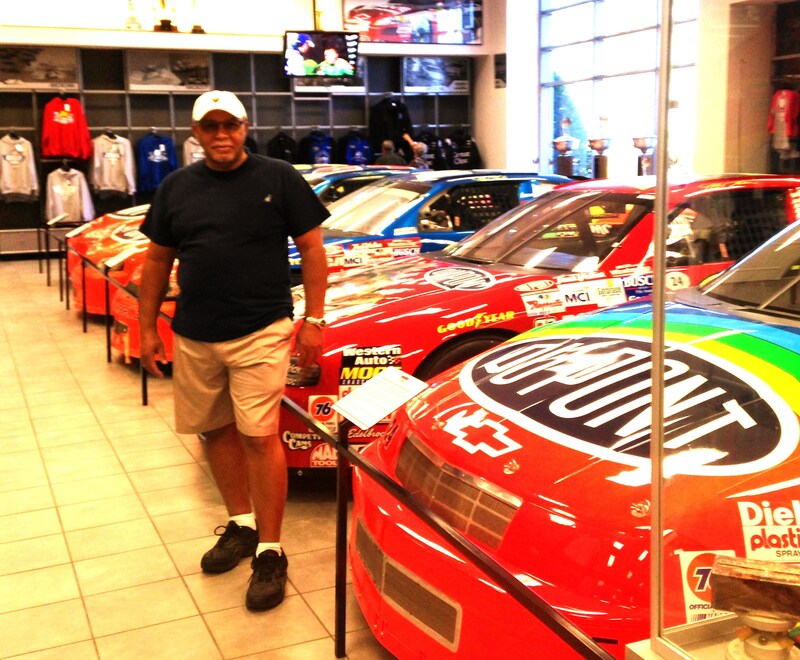 I have had the pleasure of visiting the Hendrick museum and been in the presence of his cars and trophies representing 90 plus NASCAR wins. That is as close as I got and with honor and respect…it was close enough. Go #24!!! NOW...this is the final week of school at the Learning Center. Beginning next week, the students will start their summer and will return to school in February 2016. But, this has been another fantastic year for us all and the great news continues. High Point Elementary School in Bristol, Virginia to the Learning Center students by exchanging Pen Pal letters. 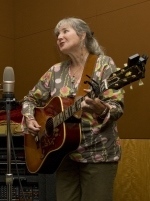 Lisa has taken on a new role in education as the traveling music teacher for three elementary schools. One school is located in a very small town, Sugar Grove, Virginia. The town is just a little larger than Copey with a population around 700. 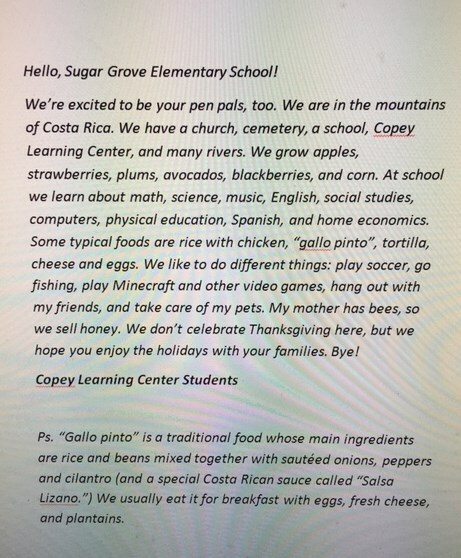 See the Pen Pal letter below that has been sent to the Learning Center. Similar to the K-Kids in Washington State, this is another wonderful opportunity for young students to get to know each other and share learning experiences. We now have kids on the west side and the east side of the country getting involved and becoming special “Friends”. The K-Kids tried to connect via Skype with the Learning Center students last Tuesday but the connection would not work. We have worked out the bugs now but we have to wait until school resumes in February before we can get all of the students together again to do a Skype session. We are very disappointed over the lost opportunity but also very excited about the next opportunity. The K-Kids did receive a special video message from the Learning Center in spite of the lost Skype opportunity. It is “precious” and we are trying to get the video set up as a “UTube” video for your viewing as well. Check in on the next Post. REMEMBER our great news last week? It is real….we are planning to send one or two students from Copey to Emory & Henry College in June 2016 for a couple of weeks of on-campus classes and touring beautiful southwest, Virginia. The students from Copey will have to go through a selection process since several students are showing a very strong interest in traveling to the US. Angela along with her staff will have the challenging decision to select the best students for this very unique travel experience. Angela has also been invited to join the the students on their trip to the college. If she travels, she is expected to have the opportunity to meet with faculty and staff to discuss the education in Costa Rica and build bridges of understanding. “Friends” keep an eye on this developing project as it will become a very significant achievement in time. So…we have another surprise involving the college. But, you have to stay tuned to hear the details. We are still putting this together.This is a very busy time and several people are going the extra mile to do some phenomenal things under the banner of “Friends”. In the next few Posts, I will share photos of the graduation at the Learning Center, share some of the best comments I have received from “Friends” this school year, and continue bringing you updates on some really important developments. Thank you for being “Friends”. 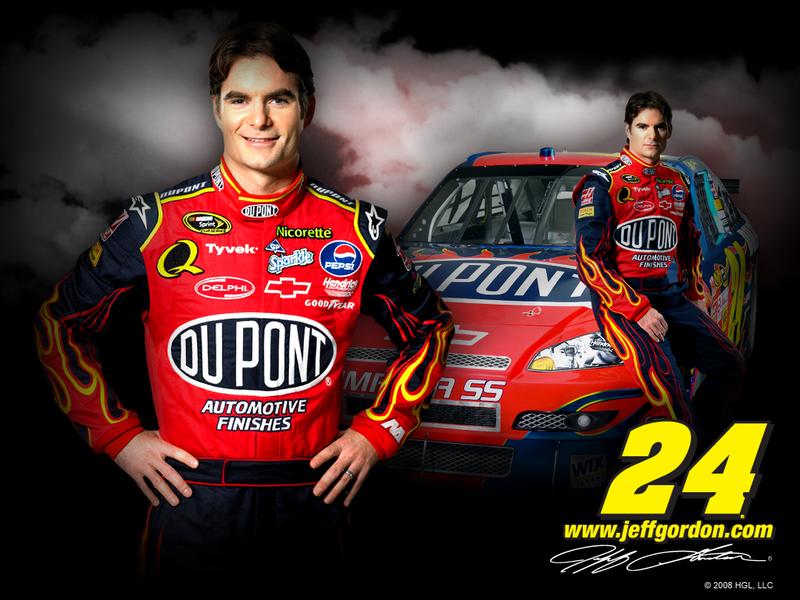 What a year of racing for Jeff Gordon! 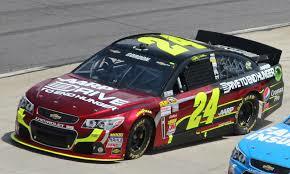 The final championship race is coming up Sunday and Jeff Gordon is one of the four drivers eligible to win the championship. This is amazing! Whether you are a NASCAR fan or not, tune in and watch the possibility of history being made. Jeff, driving his final race could be crowned Sprint Cup Champion for the 5th time on his way to retirement. 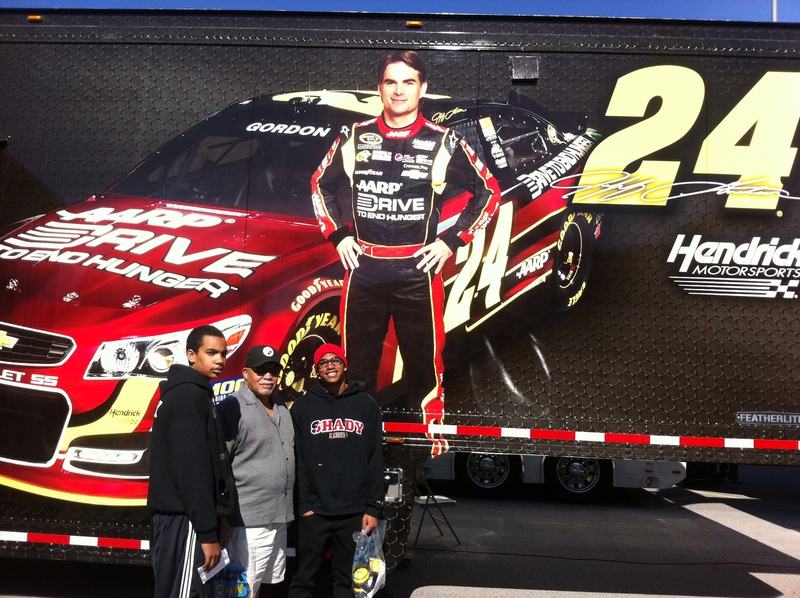 One last time…Go #24! I enjoy the opportunity to salute those in my family, friends, and all the other men and women who served in our country’s military. 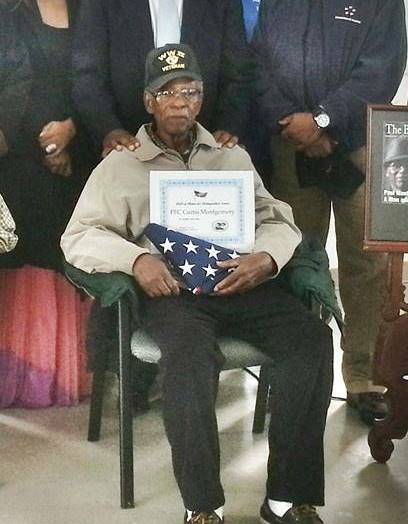 Many of you “Friends” have already been introduced to a very special veteran, Curtis (Duck) Montgomery, now 100 years old (shown below). He was highlighted in last year’s Veterans Day Post and he is still going strong. Our best wishes are extended to this great American. As is my custom, I also wish to offer a special salute to Lou, Gene, Charles, Carlos, Dwight, Stevie, and Adam for their service to our country. And a most special recognition is extended in memory of Danny Watkins, Michael Charles, Kenneth Delaney, and Frank Campbell. All were friends and school classmates who served in Viet Nam. Danny, Michael, and Frank died in battle while Kenneth was tragically killed while home on leave. Each year I pause to recognized them along with those in my family who served in World War I and II. As a veteran, I stand proudly and salute them all. Recall, last week I promised you some really BIG news. Today, I will let you in on it but I still have to be a little cautious. We are still working on portions of the whole initiative and we do not want to get too far ahead of ourselves. So hang in with us as we start today to share the info and will continue to update you as the weeks/months go by. From the very beginning of this “Friends of Copey” project, one of the key initiatives was to establish a pathway for one or more Copey students to attend my alma mater, Emory & Henry College located in Virginia. This is a complicated initiative involving at least three major components and each must be in place to be successful. As of now, the first of the three components involving some partial funding commitments has been put in place. This is a significant achievement as we now move to the next step involving the selection of a high school senior or high school graduate from Copey to attend a short summer course on the Emory & Henry College campus in early summer 2016. More details will be shared on this initiative as we make more progress. There are a few people to really thank for their support on this but we will showcase them in the near future. Oh yes, there is a second initiative in the works with the college but these details will also be provided later. Stay tuned in! Tomorrow, Tuesday, the Jefferson Elementary K-Kids (Kiwanis Kids) plan to connect with the Learning Center students using the Skype technology which allows for live face to face communication. If we can successfully get the technology to work, K-kids will be introduced to kids at the Learning Center and will begin the process of the students really getting to know one another. To date, they have exchanged Pen Pal letters. This Skype hook up may be the first of its kind…K-Kids talking and working with kids from another country. If we are not the first, I am sure we will soon hear otherwise. 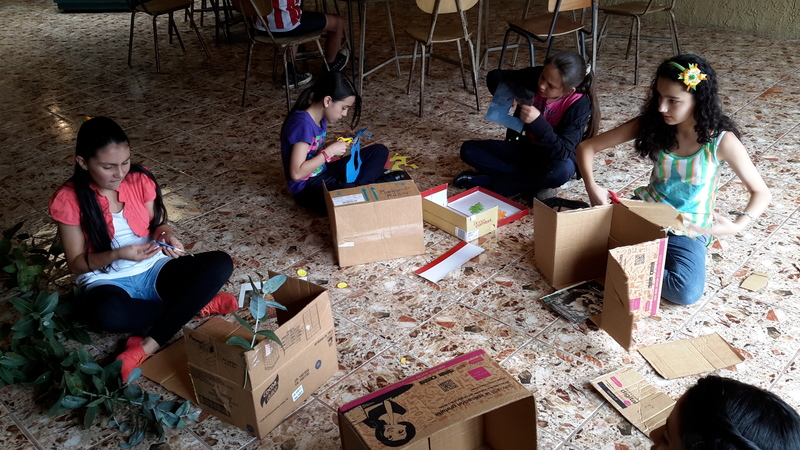 There are many unique opportunities for all the kids involved to work together on environmental projects, recycling, learning about geography, cultures, and much more. This is just another initiative that deserves your prayers and best wishes. Over time, we will pursue setting up additional K-Kids connections with the Learning Center from all over the country. 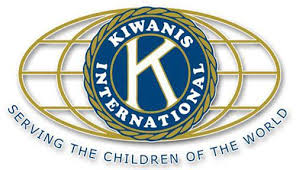 While on the subject of Kiwanis and kids, I wish to bring to your attention some news about a “Cyber” Kiwanis Club, a club whose members stay connected via conference calls, emails, and chat rooms instead of weekly lunch meetings. As a Blogger, I meet some very interesting and wonderful people who share similar interests. Please get to know Dr. Hina Fatima who was born in Karachi Pakistan, now lives in the US, and married with two small children. She suspended her practice as an MD to raise her children and is also a very active Kiwanian. She has been a devoted supporter of “Friends of Copey”. 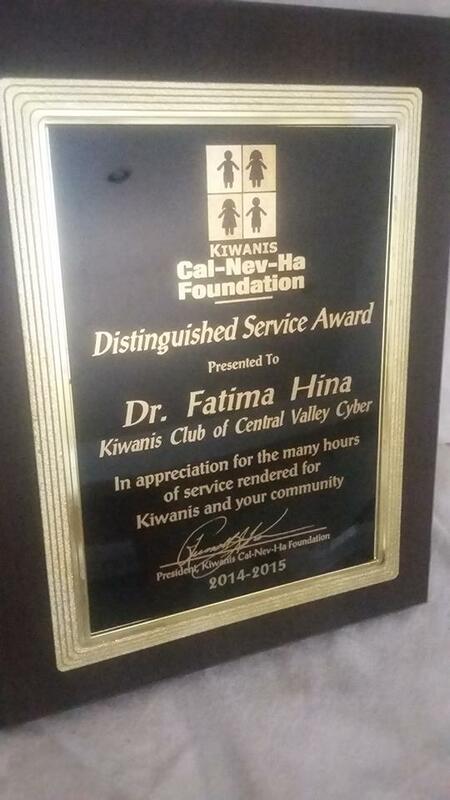 You can learn more about Dr. Fatima and her unique (cyber) Kiwanis Club by viewing http://cyberkiwanis.bravehost.com/. Recently, she was awarded the “Distinguished Service Award for 2014-2015” by her club and also was installed as a board member. Dr. Fatima is involved in helping young kids in Uganda by raising funds to cover shipment costs associated with sending books to these kids in need. For more details on this, please go to https://www.linkedin.com/pulse/ugandas-children-need-us-hina-fatima. If you can help, please go to www.gofund.me/EducationForUganda. Dr. Fatima, on behalf of all Kiwanians who are “Friends” following this Blog, our congratulations are extended to you on your award and best wishes during your term as board member. You are just another example of one with the “heart of a servant” and “Friends” appreciate your support. I will end this week’s Post with just some of my latest photos from the Learning Center. It is a real joy to see these students at work and to know as “Friends” we are a very integral part of their everyday experience as students and developing young men and women. Thank you.